While a new report projects automation will replace many workers in the next 12 years, other changes may spur opportunities for both companies and humans. Automation could replace up to one-third of the global workforce by 2030, according to the latest McKinsey report, Jobs Lost, Jobs Gained: Workforce Transitions in a Time of Automation. But as staggering as that prediction is, experts say the biggest impact for companies may come from elsewhere in the 160-page study. The good news is that, even if millions of workers lose their jobs, rising consumption, an aging population’s new demands and the continuation of new technologies will combine to create more than enough jobs to meet workforce needs, says Susan Lund, one of the report’s eight authors. “There will be plenty of jobs,” Lund says. But those jobs won’t be the same ones we have now, and that’s where the opportunity for companies comes in. Anywhere from 75 million to 375 million workers worldwide will have to switch jobs to stay employed. “Mid-career job training will be essential,” the report states. Heather McKay, director of Rutgers University’s education and employment resource center at the School of Management and Labor Relations, agrees. “Companies may need to rethink what skills [workers] actually need for a job,” she says, adding that the value of four-year degrees may fade as micro training and digital badging become more important in training workers quickly for open jobs. To get an idea of the scale of this shift, a new report from Willis Towers Watson says artificial intelligence and automation were used to complete just 5 percent of work done in the U.S. three years ago. That figure has since jumped to 9 percent, and the consultancy projects the figure will soar to 17 percent in three years. Of those companies already using automation and artificial intelligence, 94 percent said in a survey they would expand use in the next three years. 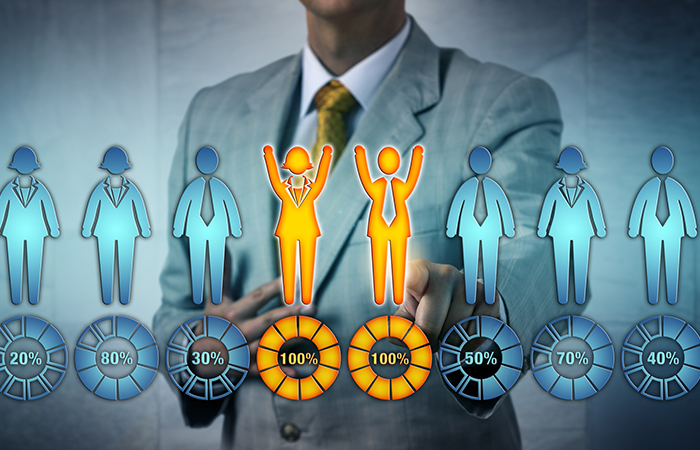 In a Willis Towers Watson poll, fewer than 5 percent of companies say their HR departments are fully prepared for digitization, although one-third did say their company was somewhat prepared. The three categories most susceptible to automation are physical jobs in predictable environments (such as preparing fast food and operating machinery), collecting data and processing data. While half the work people do globally can be automated, researchers found, only about 5 percent of jobs could be totally replaced through automation. For about 60 percent of workers, one-third of their job can be automated, meaning they would face a significant change in what they do. That’s where the retraining comes in. While these trends of job growth and changing job tasks may be accurate across countries and the world, the impact on different segments of the population will not be evenly distributed, experts say. Older workers nearing retirement may not want to change careers and workers in small communities without a lot of options, such as Rust Belt states, may not have the opportunities to change careers, Lund says. McKay says she worries that some of the new jobs created, such as healthcare opportunities as the population ages and travel- and leisure- related jobs, won’t be the kind of well-paying, fulfilling jobs that workers would want. She says the government, through robust training programs and better pay for Medicare treatments, could improve these opportunities. HR executives should lobby the government to make sure this work gets done. Workers will feel more secure to make a job change if the government safety net is robust. “Sweden shows us that,” McKay says. Consultant Carmen Hudson highlights some of the new technologies that are remaking recruiting. United Airlines’ new employee bonus lottery and its subsequent decision to walk it back.